Every band I have heard out of Pennsylvania in the past several years has not disappointed me. Scranton's own Halfling is absolutely no different. The band's newest EP offers five excellent songs filled with emotion and melodies. If you enjoy Tigers Jaw, this band is right up your alley because the vocals are similar to Ben from Tigers Jaw, as they're nasally but emotion-filled. The instrumentals are similar as well, but they take away the poppy elements. As much as I'll compare Halfling to the well-known Tigers Jaw, let me be clear now that Halfling is still its own band with its own genuine sound. Overall, this EP is a blend of mellow, relaxing instrumentals with unique vocals. I found myself putting this EP on to fall asleep; it's got that quiet night-time feel. The singer has a decent vocal range, which he uses to his advantage throughout. "We Never Really Talked About Much Else" is a bit faster-paced than the rest of the songs and shows that Halfling can up the sound to fit a higher level of energy. "Come Clean" is my favourite track, and I think it shows all the best elements of the band. "Uncovered" is the last song. Closing the EP softly and peacefully, it certainly has that "end of a record" feel. If you are a fan of bands such as Tigers Jaw, Balance and Composure, Petal and various other Pennsylvanian acts, listen to Halfling. I like to think of them as Scranton's hidden secret. The songs mostly range between four to five minutes, so there is a bunch of music packed into these five songs. Halfling is a beautiful band doing its own thing – and one that is certainly doing it well. 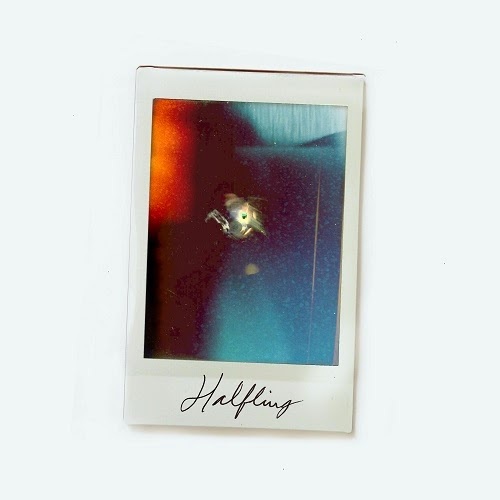 Other alternative/emo bands better be on the lookout for this band, because with more recognition, Halfling will become an instant favourite to many. I had no idea what to expect from this EP, but I'm ecstatic I checked it out. Throw some headphones on, get comfortable in your bed and press play.